Gaza, ALRAY - The German government provided the continued grants to Israeli high-tech companies, as well as the renewal of a scientific cooperation agreement, on the inclusion of a territorial clause stating that Israeli entities located in the West Bank settlements or east Jerusalem will not be eligible for funding, Haaretz reported. 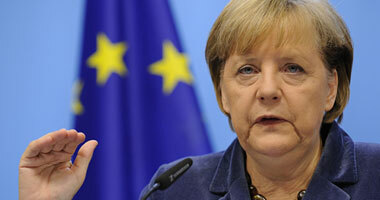 Israel fears the German move will lead other European Union member states to follow suit. “Germany will set an example for the rest of the world,” A senior Israeli Foreign Ministry official said. "If Israel continues with the settlements and talks fail, there might be a situation where Israel finds itself more isolated," The EU official to Israel , Lars Faaborg-Andersen warned Israel , referring to a consumer boycott of Israeli goods manufactured in the West Bank. "It will not be a result of decisions by governments but by the private sector and consumers," he said . Andersen explained that whenever Israel announces new buildings in the settlement , it fuels the discourse in Europe. "The cause for labeling Israeli settlement products is gaining momentum," he said.